At Stirling Ackroyd Estate Agents Clapton, the city is in our DNA. With over 25 years’ experience in the Central and East London property markets, we are your local property experts. We understand the way that the property market operates and this, coupled with our expert qualified staff, makes us uniquely suited to help people buy, sell, rent or let property in Clapton. 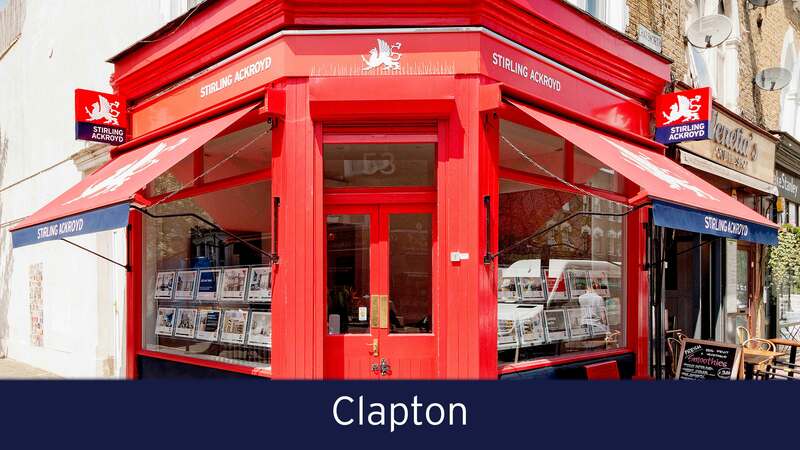 Stirling Ackroyd Estate Agents Clapton assists people buying, selling, renting or letting property in: E9, Homerton, Upper Clapton, Lower Clapton and Hackney Wick. Looking to sell or let your property in Clapton? Looking to buy or rent a property in Clapton? At Stirling Ackroyd Estate Agents Clapton, we understand that choosing your perfect property to buy or rent is a big decision. That is why all of our staff are experts on their local area and we have a range of dedicated buyer and tenant services available to ensure that you not only find your perfect home but you have the lifestyle to match. Split level 700 sq ft property + share of freehold. Two bedrooms, one bathroom apartment located close to both Homerton and Hackney Central stations. GORGEOUS DUPLEX APARTMENT...COMPLETELY REFURBISHED THROUGHOUT!!! Often regarded as the more peaceful version of Shoreditch, the laid back pace of life in Clapton has proven to be a paradise for young artists, as well as those looking for a peaceful haven in London. Clapton’s main thoroughfare, Chatsworth Road is at the heart of Clapton. The weekly market provides cuisine from all over the world, as well as vintage clothing, jewellery and homeware. Day to day, you will find shops selling everything from bicycles to jam and antiques along the road. We recommend trying Eat 17, Cooper & Wolf, Venerdi, Windsor Castle, The Crooked Billet and the Clapton Hart. The area is popular for families due to the good range of local schools and many open spaces. However, it has also proven to be a popular destination for freelance creative types and city professionals due to its close proximity to central London. You can be in the heart of London's business district, Liverpool Street, in around ten minutes. 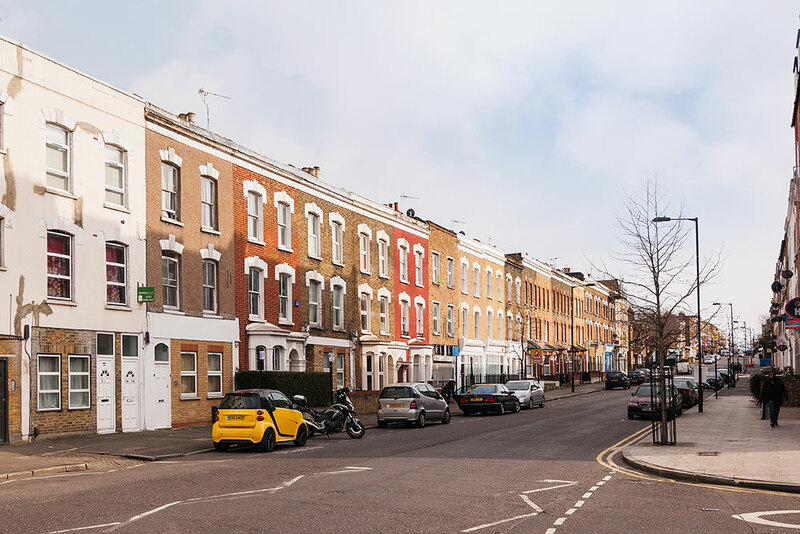 Consisting of both Lower, and Upper Clapton, the district is conveniently located to the recently rejuvenated areas of Hackney, Dalston and Stoke Newington. 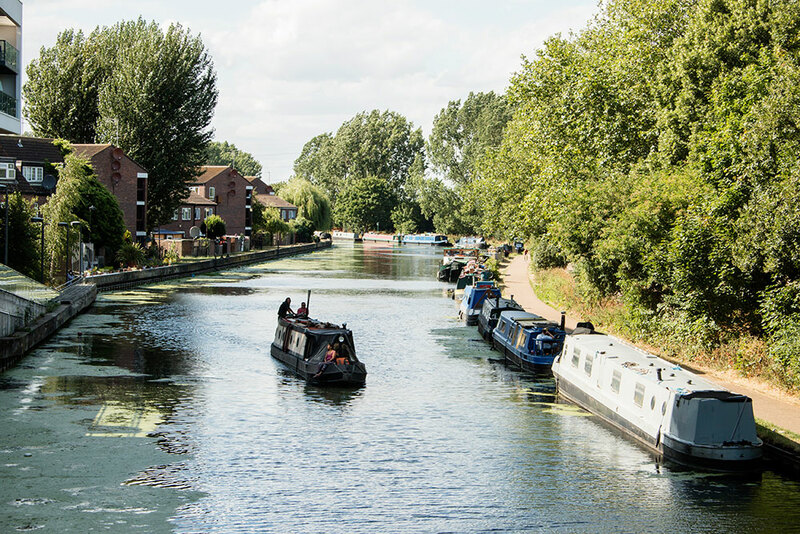 The area has become well known for providing close transport links into central London, whilst managing to maintain a tranquil environment, with its many large open spaces and the scenic River Lea. Excitingly, the annual festival ChatsFest is on course to make a return in 2018. Clapton Square with its stunning, historical architecture is as a gathering point for residents. 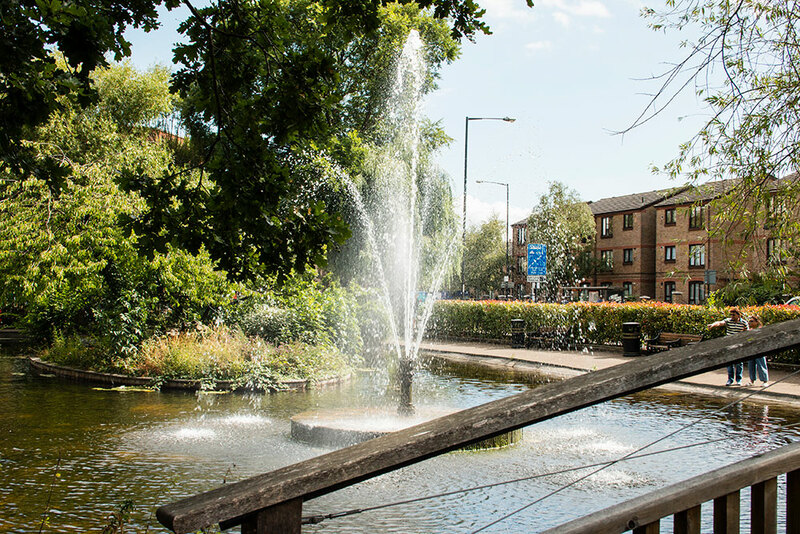 The area is filled with several perfect areas to enjoy a picnic, with many green open spaces including Springfield Park, Millsfield Park, and Clapton Park. The River Lea also provides some serenity through its walking paths, and is overlooked by pubs such as The Princess of Wales and The Anchor and Hope. Stirling Ackroyd Estate Agents Clapton has many excellent properties in the catchment area for many of Clapton’s Ofsted ranked schools. Clapton predominantly offers Victorian and Georgian Period properties, however new build developments are on the up. Recent developments have included the Wharf and Paradise Park. This range of properties makes Clapton attractive buyers and tenants alike as more and more people flock to this growing location. Call 0203 961 7806 now to find out how much you could sell or let your property for.